Reformulated adhesive ensures product won't slip during competition, but it is easy to remove. Your choice of size allows you to adjust the size of your gripping holes and create a smoother swing and release. For me, the white textured tape was a bit tacky and prevented a clean release. This tape is excellent because it provides a natural feel. If you are looking for a tape that will help you get a snugger fit, this is the tape for you. 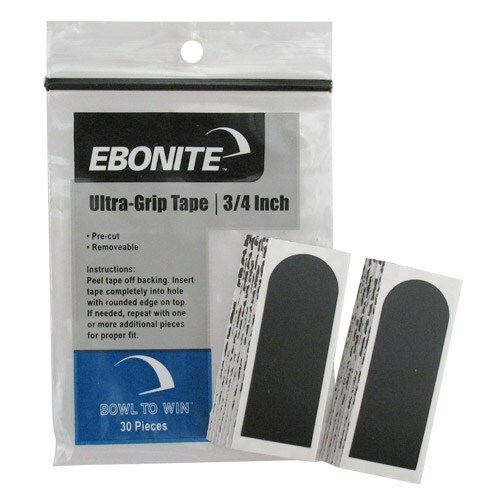 Due to the time it takes to produce the Ebonite Ultra-Grip Tape 3/4" Smooth Black ball it will ship in immediately. We cannot ship this ball outside the United States.